As a Guerrilla Marketing Strategy, stencil graffiti is a beautiful art form that involves creative images and incredible artistic abilities applied on hard surfaces – walls, floors, etc. Most stencil graffiti artists use papers with cutouts made to give the stencil a realistic picture. Many companies and organizations venture into this form of advertising and some excellent examples are proof that this can be a shocking strategy. 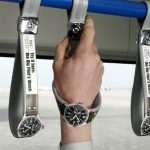 Here is our selection of 10 examples of stencil graffiti applied in Marketing. A differentiating way of passing a message, taking advantage of structures and using creativity. 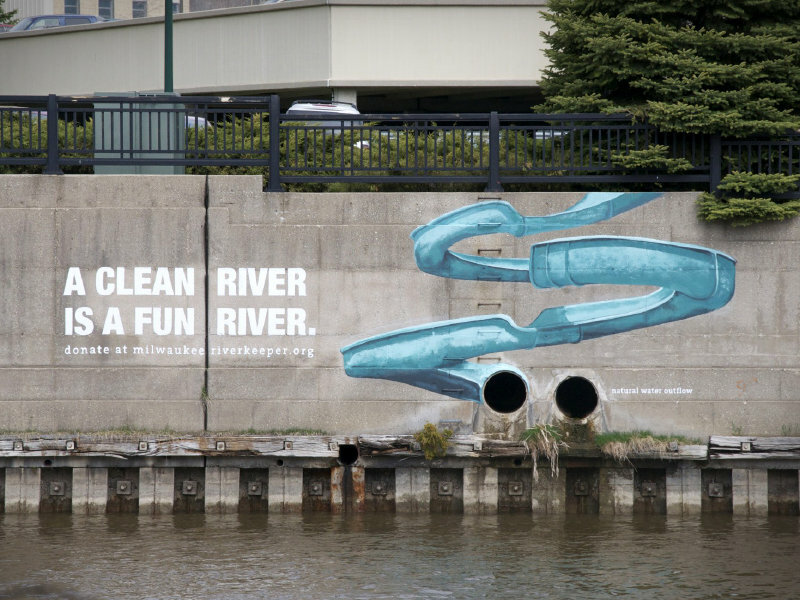 This stencil graffiti is made to sensitize people and comes accompanied with the message “A clean river is a fun river.”. In this case it is not intended to advertise a product or to disclose a brand but rather to alert to an environmental cause. 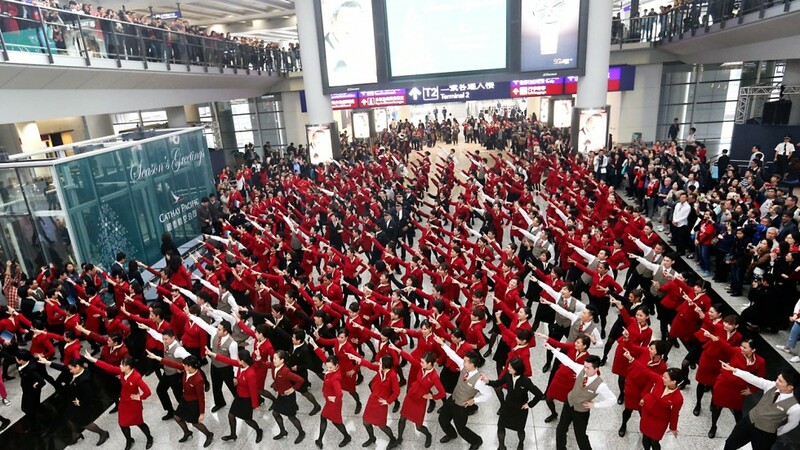 Coca-Cola is known to venture into new and innovative adverts to promote sales. 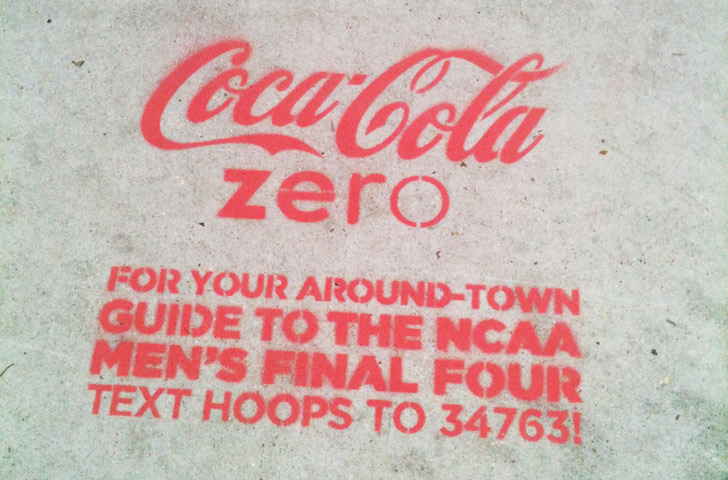 In New Orleans, Coca-Cola used stencil graffiti and covered sidewalks as the French historic quarter championship games. 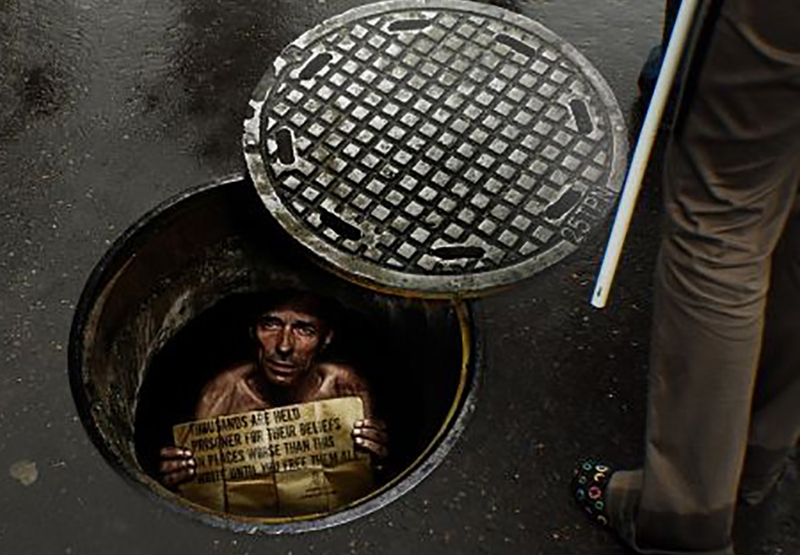 In 2004, Beijing faced an act “terrorism” where more than 24,000 manhole covers were stolen. The work was a bit hard to cover in time but creative minds came to the rescue. The manholes had stencils indicating the manholes to avoid eye-misjudgment. This simple stencil art saved lives. Axe most recent campaign is “Make love. Not Wars. 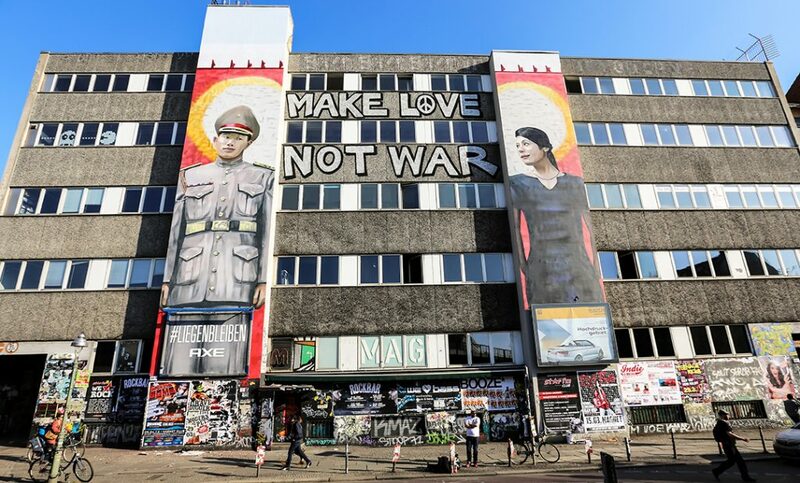 Their stencil art addresses the main motive of the whole campaign. The image shows a dictator whose life always revolved around their women and looks out for them instead of fighting. The New Zealand policemen have adapted street stencil art to show the difference they make around the country. Art showing a police chasing a burglar, another comforting a young boy with tagline “You can Do Something Extraordinary. Become a cop.” Probably the best way to recruit new police in their departments. Converse has embraced street arts in Australia, Making the colorful art designs across the streets in Perth. 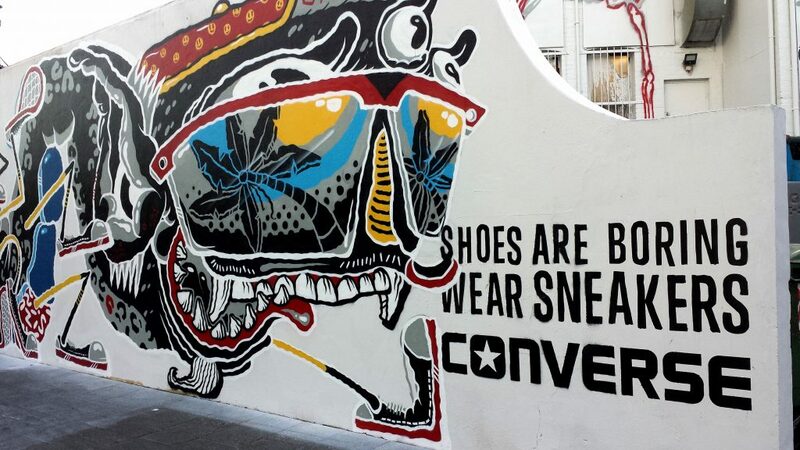 Converse stencil graffiti designs brings to light their main objective – marketing and pushing sales in Australia. Nike’s long history of street art advertisement always leaves people amazed. 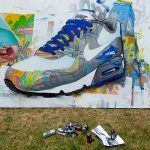 The recent campaign of Nike Air Max 90 involved several talented street artists in French do what they do best. 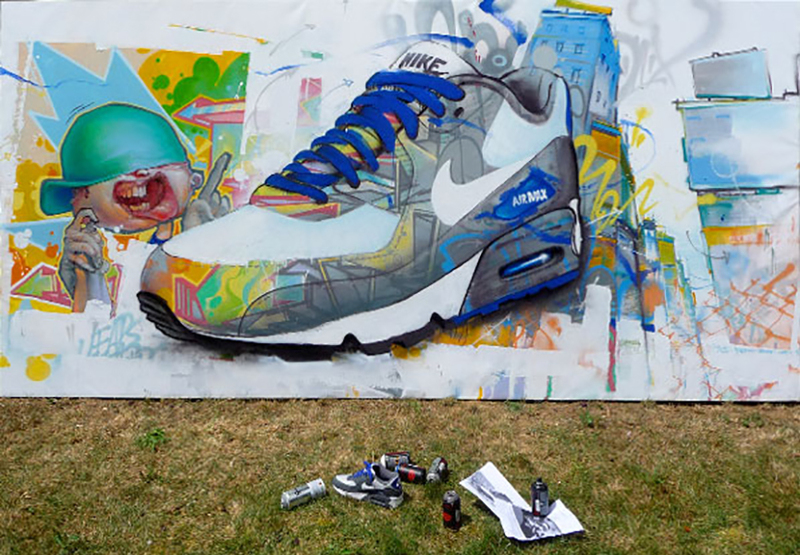 The campaign resulted in several sophisticated stencil graffiti on the Air Max 90 all over the French streets. As an all-purpose cleaner, Mr. Clean has been known for keeping things clean all over the world. 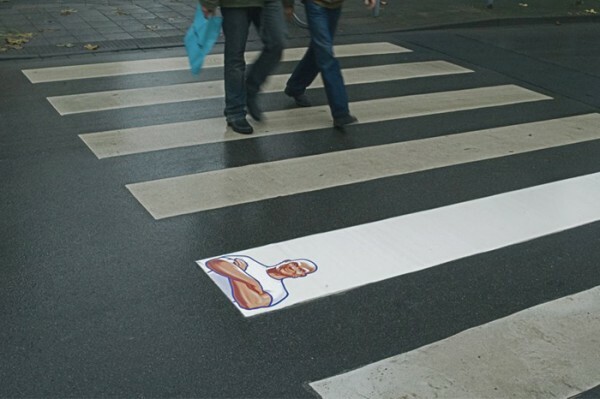 Mr. Clean has moved to the streets to do what he does best in a simple stencil art statement. Considering the fact that this brand ambassador is well-known, the street art shows his all-time face on the crosswalks without so many words. Amnesty International is a human rights organization that have adopted street arts to talk to people directly and join their cause. 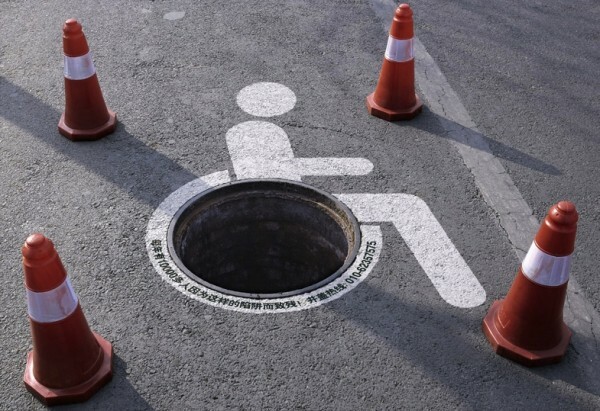 The street arts will definitely catch your eye, stop and get the intended message. The creative and touchy arts influence people to support Amnesty International in fighting injustice. 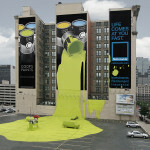 The humor in Durex’s street art is undoubtedly amazing. The level of creativity and artistic complexity applied shows how stencil art changes how advertisement is carried out. 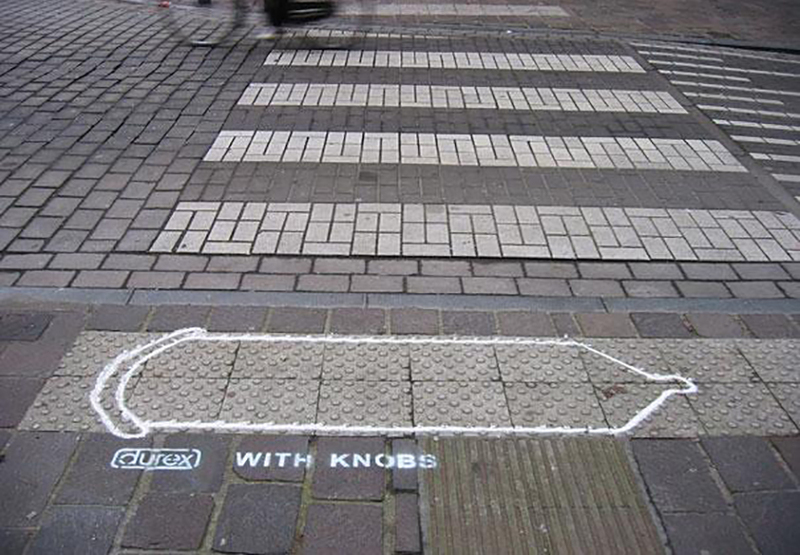 The trademarks of Durex condoms painted on the streets with knobs and ribs. The two varieties of Durex condoms shares the quality of the product with a touch of humor and wittiness.